Develop strength, balance andcoordination. Improve mental focusand agility. Movements flow with grace and fluidity. 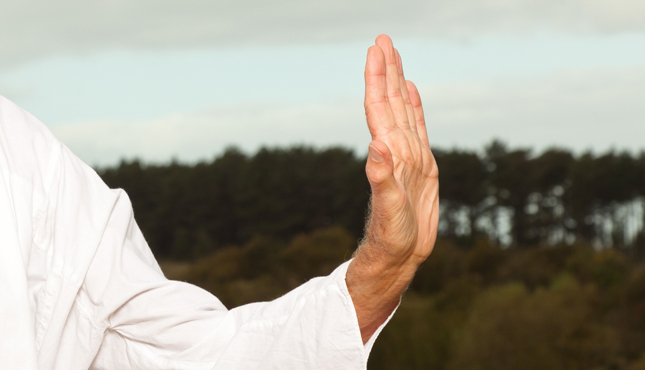 Andrew Dearlove is Master Tai Chi Instructor and head of the INNERWAVE TAI CHI TAO ACADEMY in Canada. Since 1989, Andrew has taught in a variety of settings which include community centres, hospitals and psychiatric institutes, pain control centres, cancer care, speciality groups for Parkinson’s disease, Alzheimer’s, fibromyalgia and stroke recovery in rehabilitation facilities and stress reduction in corporate classes. Andrew began his studies in Montreal in 1985 and has continued promoting Tai Chi as a component of holistic health to the present date. Andrew has trained staff at the Royal Victoria Hospital and the Allan Memorial Psychiatric Institute, the Jewish General Hospital Department of Family Psychiatry, and has taught in the Physiotherapy Department for fibromyalgia patients at St. Mary’s Hospital. Andrew has been asked to lecture for English Montreal School Board, The Parkinson’s Foundation of Canada and the Medical Faculty at McGill University. Andrew is bilingual (French and English). Andrew has been teaching Tai Chi at the Cummings Centre for 8 years.